Hi folks, today we’d like to tell you about a great cat book you should know about. It’s titled Hello, My Name is Bunny! London. It is this wonderful book written by one of the most talented writers in the global cat community Matt Bloom. We sat down with Matt and co-creator, Shelley to hear more about one of the most talked about cat books today. Hi! We’re Matt Bloom and Shelley Simmons-Bloom. 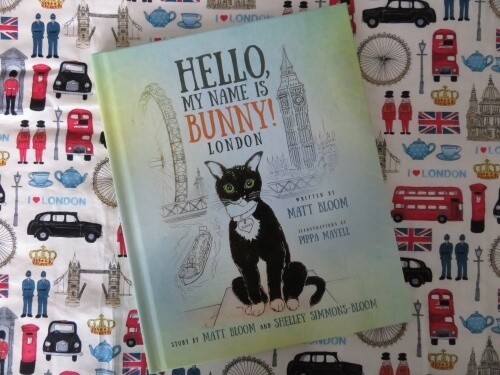 We created the first book in the Hello, My Name is Bunny! series back in 2017. 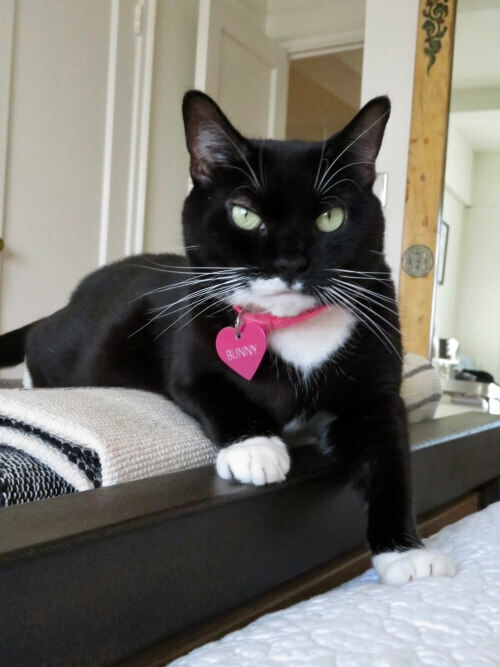 After we adopted our adorable Tuxedo cat, Bunny, from the KittyKind rescue group in NYC, we began to imagine what Bunny would do to pay forward her good fortune for being adopted, if given half the chance. 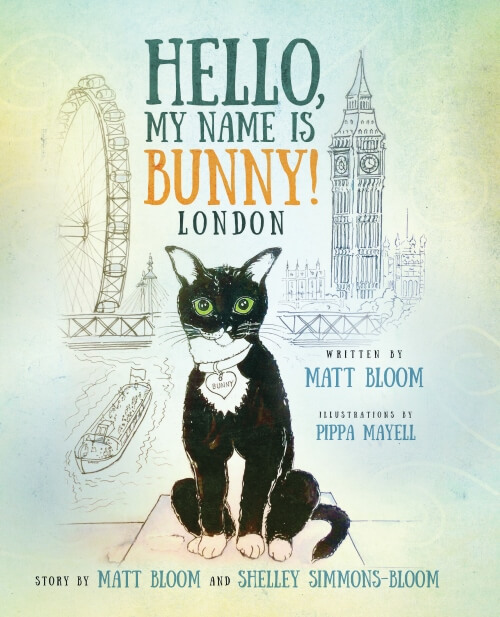 The idea morphed into the book, Hello, My Name is Bunny!, which has since won a New York City Big Book Award, and was named one of the Top Ten Cat-Themed Books by The Conscious Cat blog at the end of 2018, which we’re so proud of. Readers can find out more about Bunny on our website. Q2: Tell More About the Inspiration behind the sequel? Bunny, with her real-life, adorable, sweet nature, is truly the inspiration for both books. Bunny’s fictional human dad is a diplomat, and so in each story he is posted in a different country. The first book takes place in New York City. Hello, My Name is Bunny! London takes place in – well – London! Wherever Bunny goes, she is driven by a desire to help others. In this case, she wants to help her 10-year-old schoolgirl neighbor, Lily, become more confident and happy. Bunny’s mission to do this leads them on a magical adventure in which they encounter London’s foxes, meet the Mayor of London, and end up on national TV. We won’t give away any more than that. Q3: Tell us what you hope the books will achieve? We have two goals with the Hello, My Name is Bunny! series. First, we want to entertain children (and adults) with a fun, heartwarming story while introducing the idea of being kind and having empathy towards others, whether they are animals or people. Second, we want to raise money and awareness for KittyKind and all the other amazing volunteer-run groups like them that help make the world a kinder place for shelter animals. Q4: What was the response to the first book, Hello, My Name is Bunny!? We’ve been thrilled with the response to Hello, My Name is Bunny! We’ve had children and adults write to us telling us how much they loved the book and the messages we’ve conveyed. We have five-star ratings on Etsy, and recently won our first award, as we mentioned earlier. We’re thrilled that we’re about to partner with a school to provide HelloBunny Bloom workshops to discuss both the messages of the books, as well as sharing with the students what it takes to write a book in the first place! We truly believe 2019 is Bunny’s year! Q5: Where can we buy the book? You can buy the book on our website and on Etsy. It’s available from Thursday January 31st, 2019. 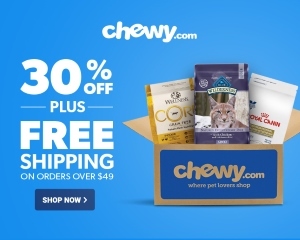 It’s suitable for children ages 6+ and for cat-lovers of every age. Price $17.95.